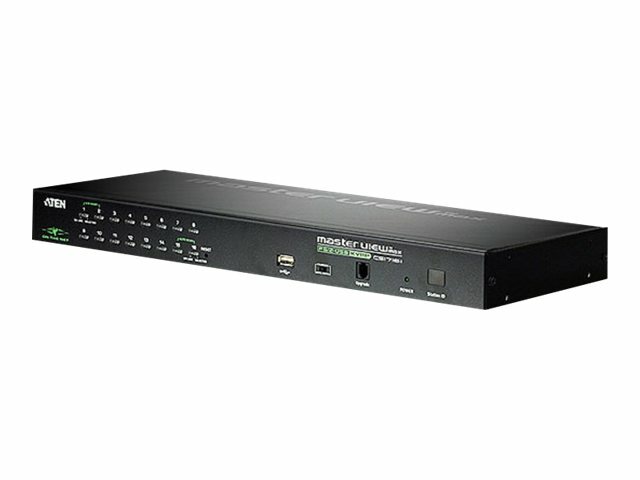 The CS1716i KVM switch is IP-based KVM control units that allow both local and remote operators to monitor and access multiple computers. Remote users access the switches over the Internet by means of a web browser using TCP/IP for its remote communications protocol. A built-in feature that resembles an Internet chat program - the Message Board - lets them communicate with each other. The ability to exchange information in real time allows them to cooperatively manage the installation in a smooth and efficient manner. 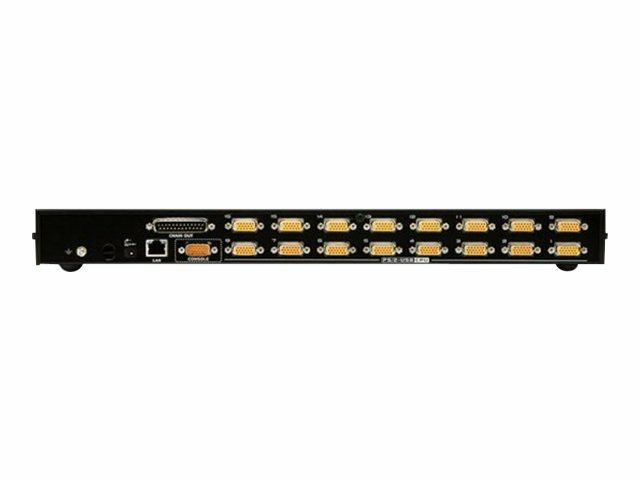 Among the CS1716i's other outstanding features, a panel array mode provides the ability to simultaneously monitor up to 16 servers per switch; while the Mouse DynaSync feature automatically synchronizes the local and remote mouse pointer movements for perfect alignment regardless of what the mouse acceleration settings on the server are. The CS1716i supports high security protocols. 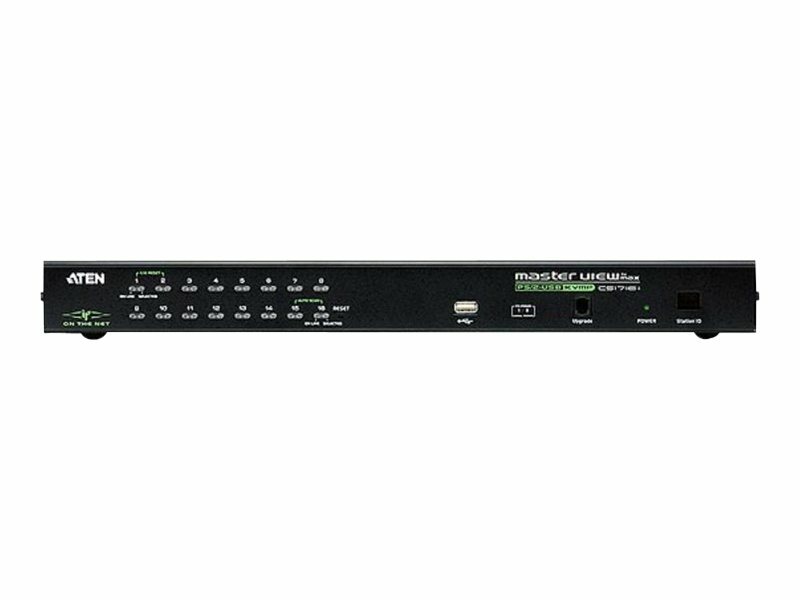 For easier and more efficient user management integration, the CS1716i also supports authentication and authorization via remote servers. These powerful features not only help administrators manage their server room in an efficient and flexible manner, it provides a cost effective management solution for the SMB sector. A user-friendly, intuitive, GUI provides convenient, access, configuration and operation. Local Console, browser-based and AP GUIs offer a unified multi-language interface to minimize user training time and increase productivity. The remote desktop can appear full-screen. Advanced features such as the Message Board, and Mouse DynaSync, create a virtual remote desktop that allows users to operate servers from remote locations just as if they were actually at the local site. Panel array mode permits simultaneous monitoring of the video output of the installations' servers. Operators can monitor the screen display of up to 16 servers per switch for real-time server monitoring. To alleviate the problem of access conflicts arising from multiple logins, the Message Board functions like an Internet chat program, allowing users who are logged in to instantly communicate with each other. Automatically synchronizes the local and remote mouse movements for perfect alignment of mouse pointers, regardless of server mouse acceleration settings.